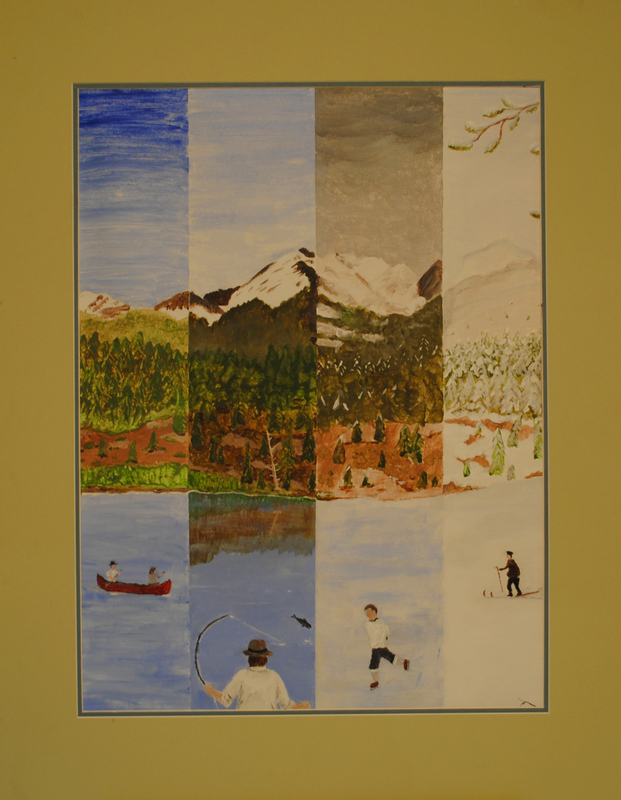 Artwork inspired by Whistler’s heritage by a Whistler High School student. The Whistler Community Cultural Plan was accepted by Council on September 3rd. The report has lots of interesting ideas and plans for the future of Whistler and most importantly (for us) has lots of great recommendations regarding the Whistler Museum, including a recommendation for a new Museum building, which were are very excited about. There is a beautiful new display about Florence in the Florence Petersen Park, and we have also exhibited the old Red Chair from Whistler Mountain there. In the winter you will also be able to enjoy a new exhibit on the history of Lost Lake displayed in Passiv Haus. You can sip a hot chocolate in the cafe after a good workout in the cross-country ski trails and learn some things you never knew about Lost Lake. It may seem a little intimidating at 155 pages, but the really interesting part (in our opinion) is the 31 recommendations on how our cultural community should grow over the next few years. These can be found in the easily digestible 7 page executive summary at the beginning of the report. If any of the recommendations intrigue you, you will be able to find a full description of them in Section 9. All the recommendations came from a substantial community outreach program including stakeholder interviews, surveys, focus groups and community open houses. Whistler is full of smart people, so it is great to hear their ideas for our future. This entry was posted in News & Events and tagged RMOW, Whistler Cultural Plan, Whistler Museum. Bookmark the permalink.